I needed to make some Thank You cards, so I searched Pinterest and found a card I liked and then I changed it up to fit my needs. I found some new paper at JoAnne’s and used two sheets out of the pack to make 12 cards! I choose two patterned papers and cut each into three, four inch strips. 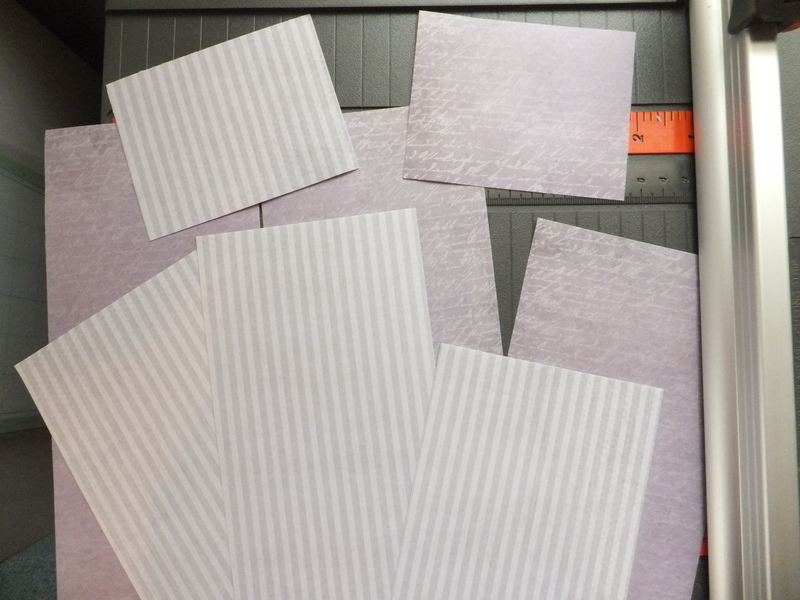 I then sub-cut those strips into four 3″x4″ pieces. 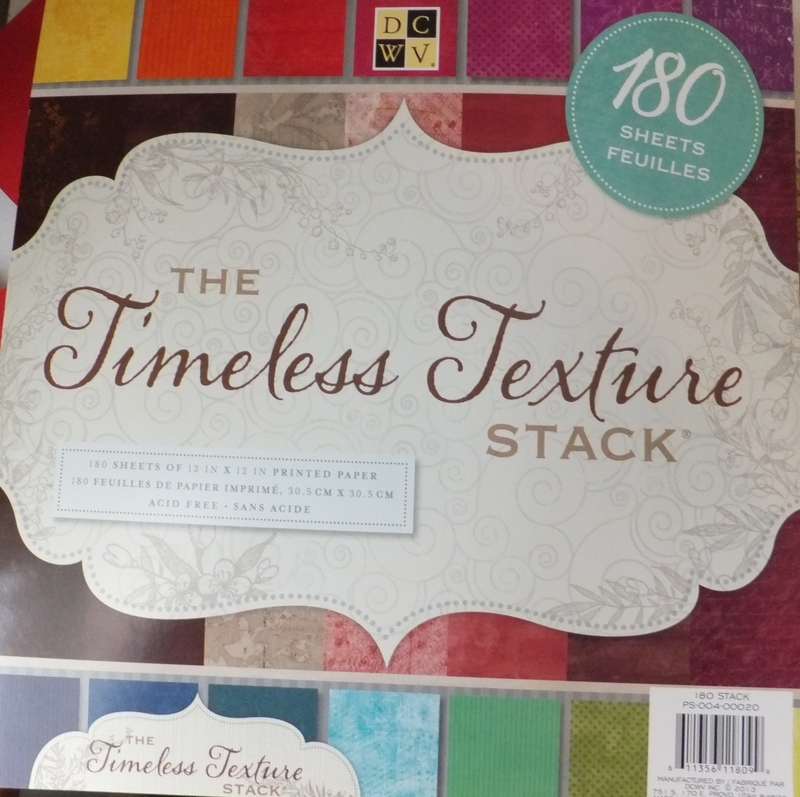 This gave me 12 sets of patterned paper. 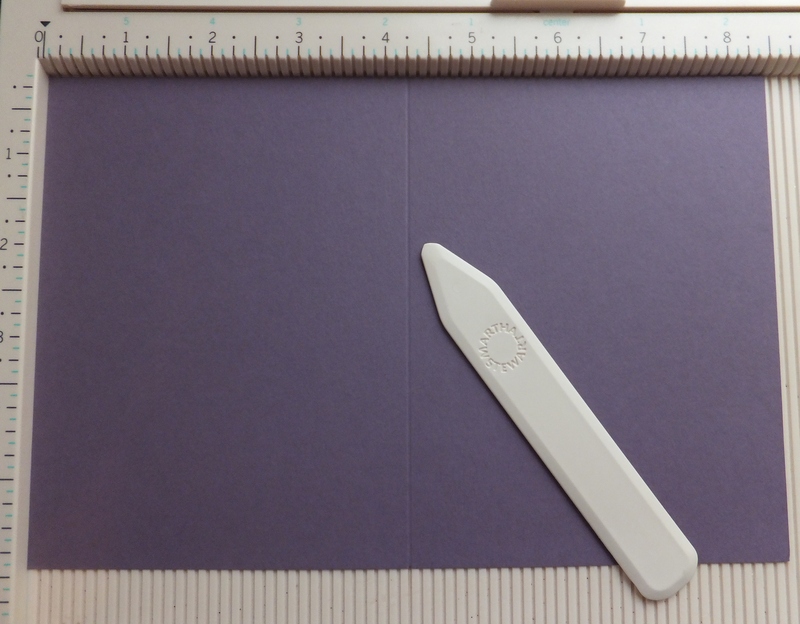 I then cut 11×8 1/2 Stampin’ Up Perfect Plum on the 5 1/2 inch line. I then scored it on the 4 1/2 inch line. I recommend using a scorer. It makes a nice fold line on your cards and it is worth the investment. I have a Martha Steward scorer that I purchased at JoAnne’s. (at 40% off of course!) 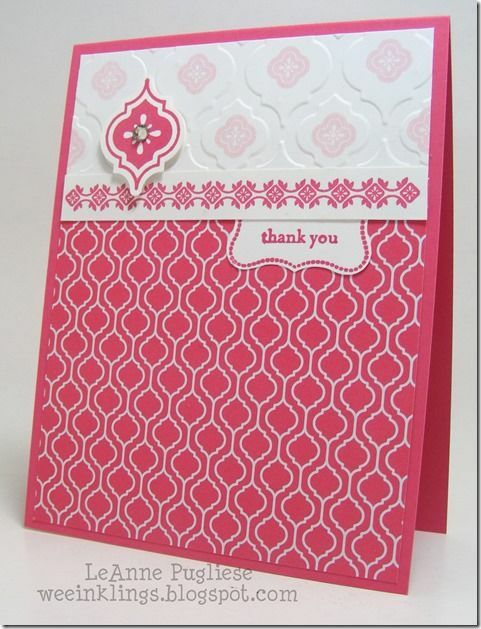 I also recommend using Stampin’ Up paper for the base of your card, since it is a nice weight of paper. 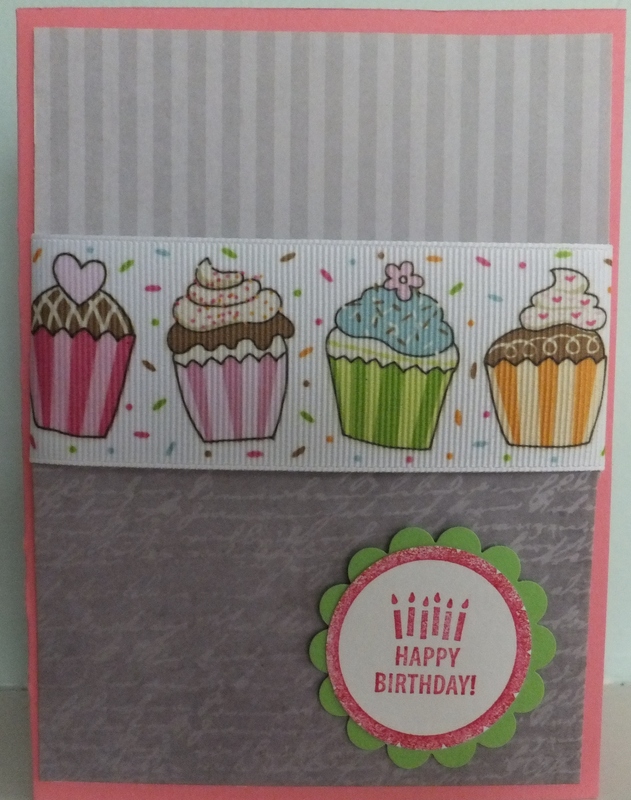 I ran a line of adhesive along the bottom of the first patterned paper and then placed it on top of the card background. 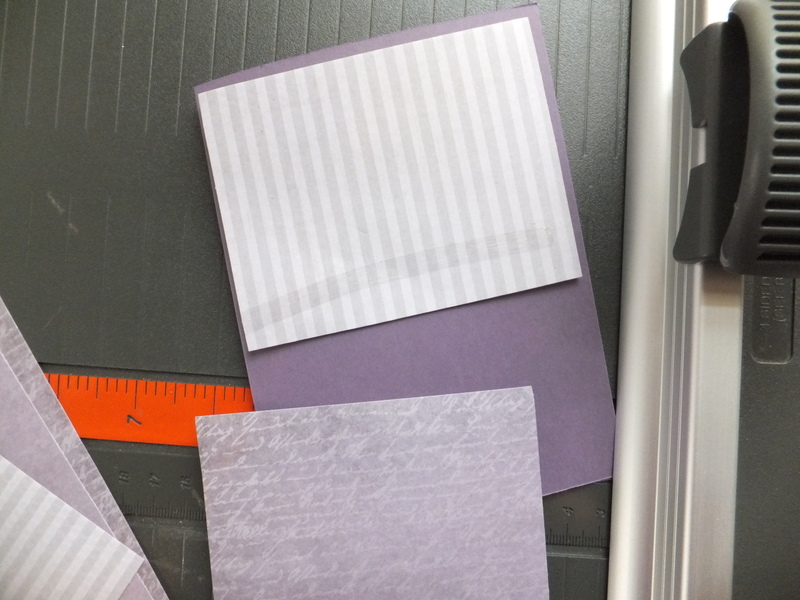 (Do not adhere it to the card yet) I then lined up the bottom piece of patterned paper. 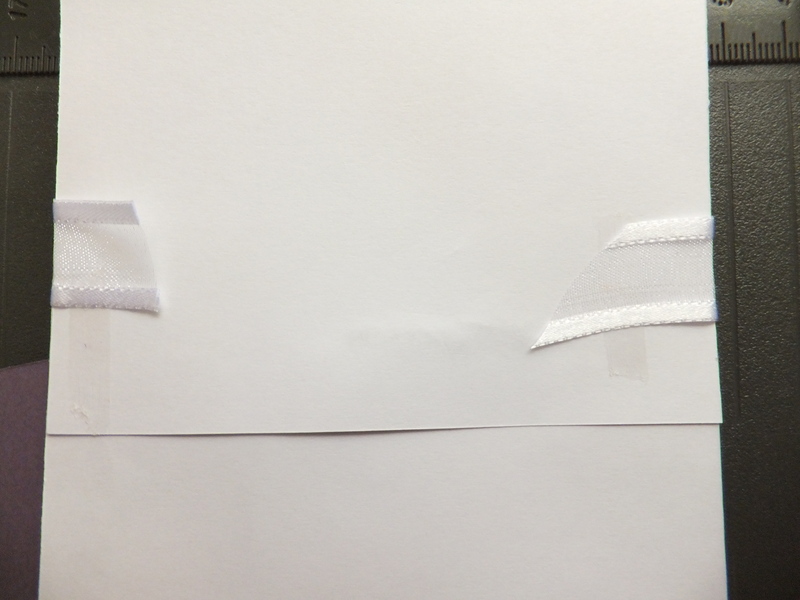 Next put adhesive on the back of the patterned paper, where you want to place your ribbon. 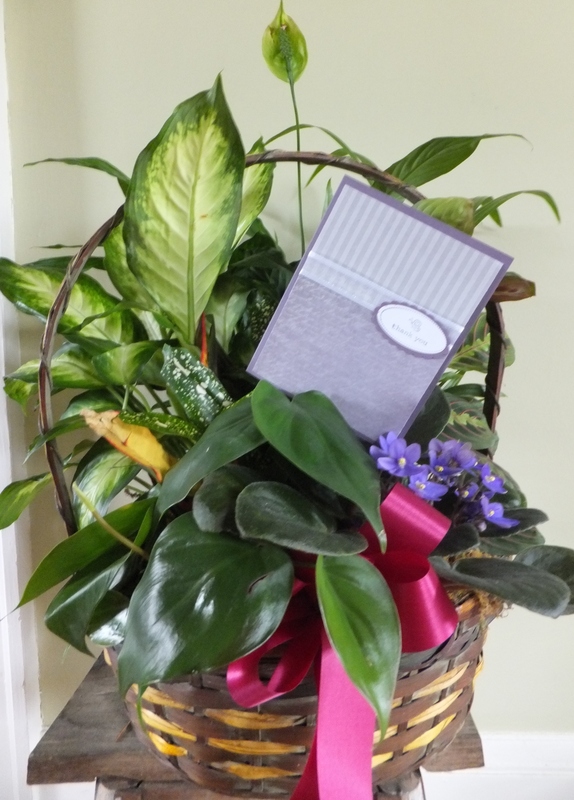 Wrap the ribbon around the card and press it on the adhesive. I think I purchased the ribbon at Hobby Lobby. 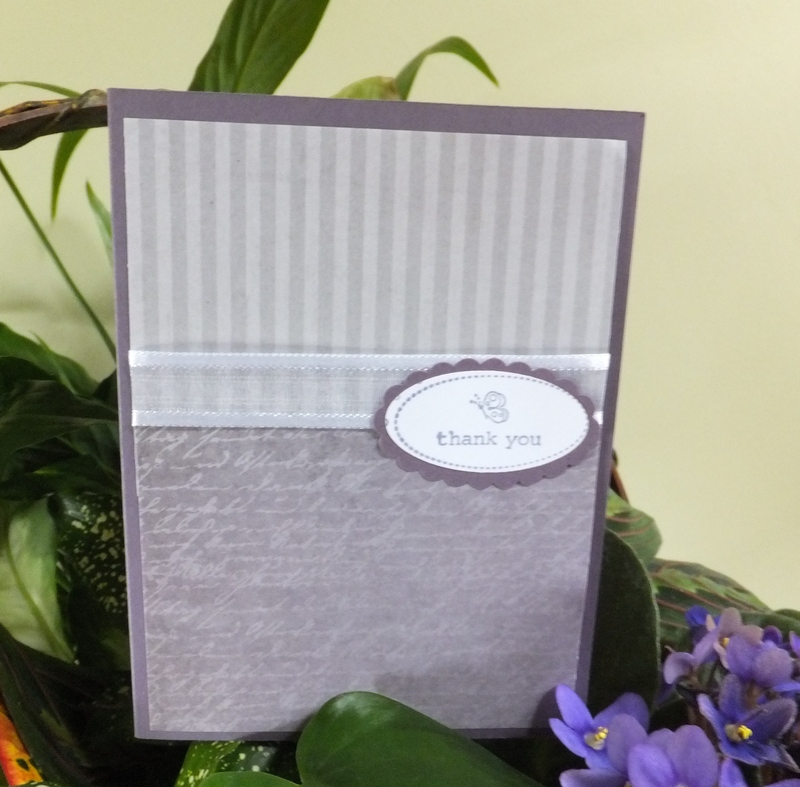 I used a Stampin” Up punch and stamp to make my “Thank You” label. You could use any stamp or punch. You could also use your Cricut to cut out the labels! 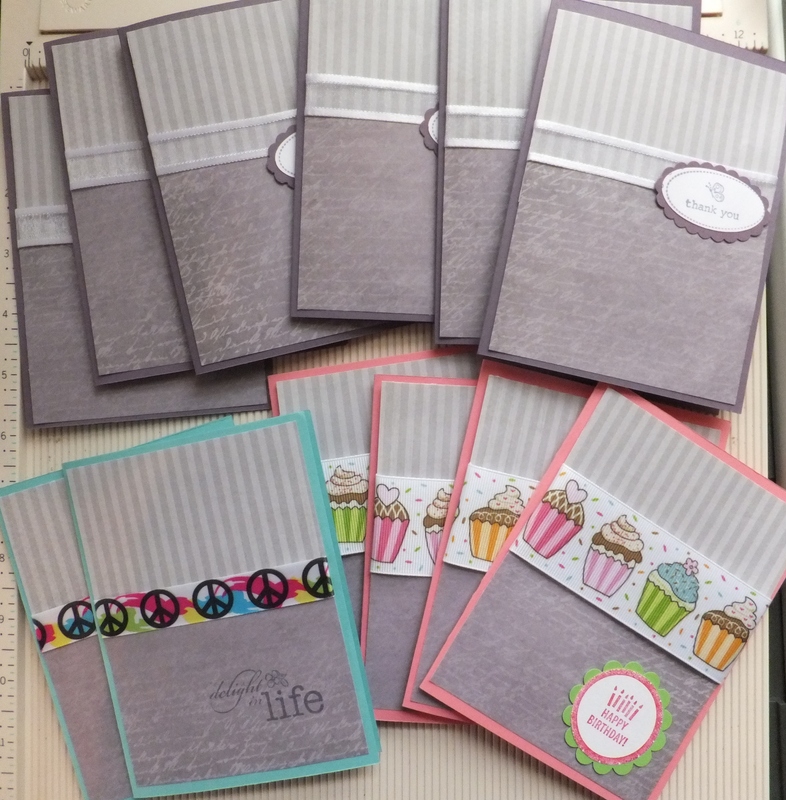 I needed 6 thank you cards, so that left 6 more set of patterned paper to make other cards. I decided to make 2 cards to send to my nieces whom will be starting their second year of college this week and 4 birthday cards. 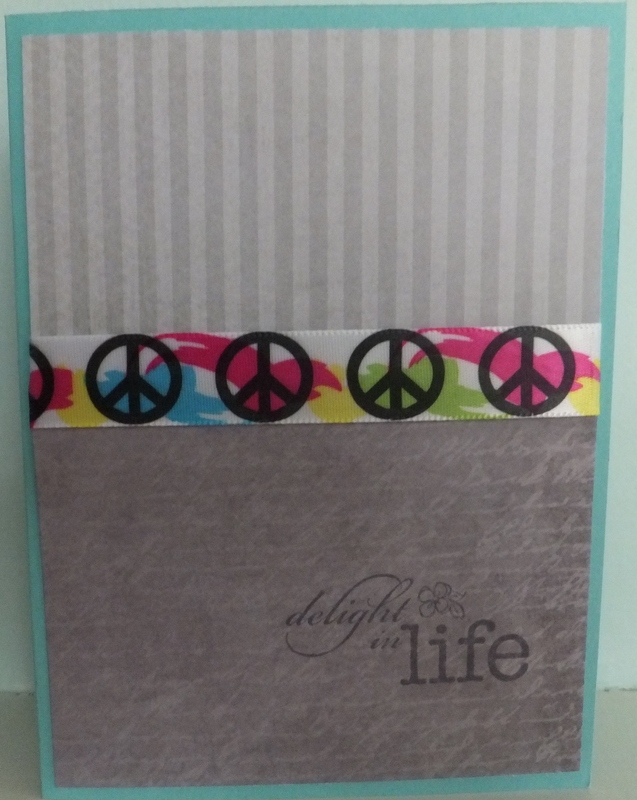 All you will need to do is change up the ribbon and choose matching paper and stamps and you will get a completely different look.